A delegation from the Iraqi Council of Representatives is preparing to include MPs Ahmed Al-Jubouri, Zafer Al-Ani, Nabil Al-Tarafi and Naim Al-Aboudi to participate in the session of the Arab Parliament to be held at the headquarters of the General Secretariat of the Arab League in Cairo on Saturday 8/12/2018. And their deputies. MP Ahmad al-Jubouri, member of the Arab Parliament, said in a statement to the representative of the Information Department in the House of Representatives that "the Iraqi parliamentary delegation, which consists of 4 deputies, includes new deputies and will actively participate in the work of the Arab Parliament to ensure that the House of Representatives has an effective representation in the institutions of the Arab Parliament, That the Iraqi parliamentary delegation will hold talks with various delegations participating in the conference, which coincides with the start of the work of the Iraqi Council of Representatives in its new legislative session, especially that the Council is ready to develop parliamentary relations with all Arab parliaments and to enhance the openness of Iraq to its Arab environment. MP Jubouri said that "the Arab Parliament will elect a president and four deputies and the selection of the heads of the four committees and their deputies by direct secret ballot of the members of the Arab Parliament present at the election session, which will be chaired by the largest members of the Arab Parliament old," noting that "the Arab Parliament will resume the meetings of its four permanent committees The new formation on Sunday and Monday , the next parliament will also hold the Arab Bureau of its new formation meeting on Monday also to approve the work of the third session of the role of the third session of the Arab parliament, which will be held on next Tuesday 's agenda. " The delegation of the Iraqi Council of Representatives, which includes deputies Ahmed al-Jubouri Zafer al-Ani and Nabil terminal and Naim al-Aboudi arrived on Friday 7/12/2018 to the Egyptian capital Cairo to participate in the activities and meetings of the Arab Parliament, which will start on Saturday. The Iraqi parliamentary delegation will participate in the meeting, which will see tomorrow the elections for the post of President of the Arab Parliament and the four Vice-Presidents and the heads of the permanent committees and their deputies. The Arab parliament will resume meetings of its four permanent committees in accordance with its new composition on Sunday and Monday. The Arab parliament's office will also hold its meeting on Monday to approve the agenda of the third session of the third session of the Arab parliament on Tuesday. The Iraqi parliamentary delegation will hold a series of meetings with the delegations participating in the meetings of the Arab Parliament. 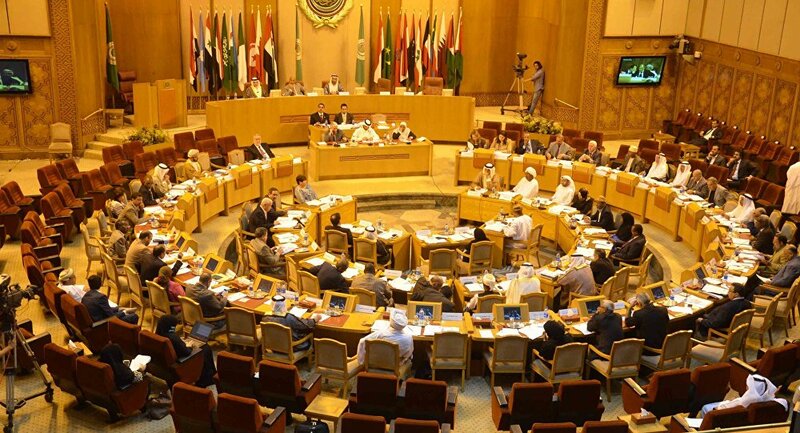 The Arab parliament began its work in Cairo on Saturday with the participation of Iraq. "The work of the Arab Parliament in Cairo started with the participation of the delegation of the Iraqi Council of Representatives," the Iraqi delegation said in a statement received by Al-Ghad Press. "The delegation includes MPs Ahmed al-Jubouri, Zafer al-Ani, Nabil al-Tarafi and Naim al-Aboudi." 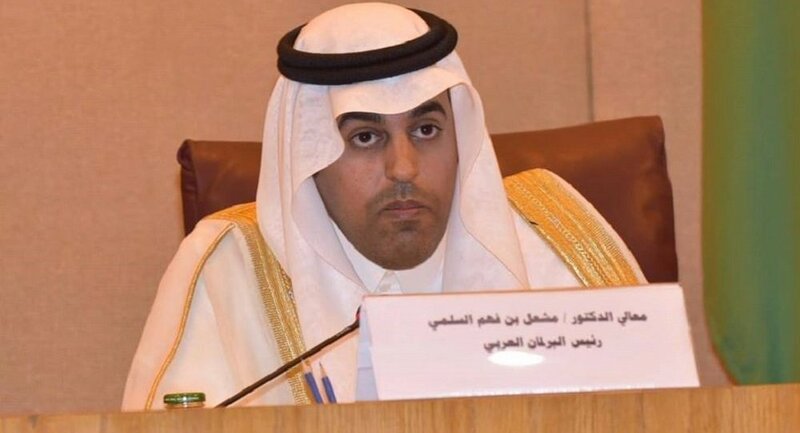 He added that "the deputies of the delegation took the oath of law as members of the Arab parliament," pointing out that "was elected Meshaal bin Fahmi al-Salami as President of the Arab Parliament by acclamation." The Arab Parliament on Saturday elected Iraq to serve three of its committees during a session in Cairo. A statement of the council, received by the agency of the orbit, a copy of it, 'was elected MP Ahmad Abdullah al-Jubouri to the membership of the Committee on Economic and Financial Affairs'. He added that he chose 'Zafer al-Ani for membership of the Committee on Foreign Affairs and Political and National Security', pointing out that 'was elected MP Naim Aboudi membership of the Committee on Social Affairs, Education and Culture, Women and Youth'. Dr. Meshaal Bin Fahm Al-Salami, Chairman of the Arab Parliament, opened the meeting of the heads of political committees in Arab parliaments on Saturday evening (December 8th). The meeting was held at the headquarters of the League of Arab States in Cairo to discuss the report on the political situation in the Arab world for the year 2018, prepared by the Arab Parliament through the Committee on Foreign Affairs, Politics and National Security. A peaceful in a press release, "received sputnik " copy of it, the aim of this meeting is to strengthen the relationship between the Arab parliament , parliamentary and Arab councils to consult on important Arab issues. He pointed out that the Arab Parliament adopted a new mechanism to keep abreast of all Arab developments and events and propose action plans and action to support Arab issues in all fields. He pointed out that the Arab Parliament in its second annual report of the political situation in the Arab world for 2018 is based on promoting positive developments in the Arab arena. The report presents a review of the developments and changes on the Arab arena and highlights the challenges and difficulties experienced by the Arab world and the follow-up of the action plans approved by the Arab Parliament. The report is based on three indicators: positive developments in the Arab political arena during 2018, political challenges in the Arab world during 2018, and the vision of the Arab Parliament and its recommendations regarding the political situation in the Arab world. . The Arab Parliament, Dr. Meshaal Bin Fahm Al-Salami, was elected as Speaker of the second session. MP Rashid Al Shamsi, MP Abdulrahman Saeed, MP Adel Al-Assoumi and MP Saad Al-Gammal were also elected deputies. The journalist who "received the statement said Sputnik , " a copy of it on Saturday, he was elected MP Ahmed Levantine Chairman of the Committee for Foreign and Political Affairs and National Security and MP Hassan Taher Barghouti , his deputy, and the deputy justice May as Chairman of the Committee on Economic and Financial Affairs and Deputy Babacar Abdul Mohsen Othman , his deputy, MP Nabil al-Andalusi as Chairman of the Legislative, Legal and Human Rights Committee, and Vice-Chairman Dalal bin Zayed as well as MP Aisha Salim bin Samnoud as Chairman of the Committee on Social, Educational, Cultural Affairs, Women and Youth and MP Noureddine Mourabeti as his deputy. He added that the session will last for two years in accordance with the statute of the Arab Parliament . The elections were held by direct secret ballot for members of the Arab Parliament attending the election session held at the headquarters of the General Secretariat of the League of Arab States in Cairo. The Arab Parliament will resume its meetings of its four permanent committees in accordance with its new composition on Sunday and Monday, 9 and 10 December 2018. The Arab Parliament's Bureau will hold its fourth meeting on Monday, 10 December, to approve the agendas of the second session of the third session of the Arab Parliament, Which will be held on Tuesday morning, December 11 at the Arab League headquarters in Cairo. At the meeting of the Arab Parliament in Cairo on Saturday, the deputy of the Fatah alliance, Dr. Naeem Al-Aboudi, was elected to the membership of the Committee on Social Affairs, Education, Culture, Women and Youth, MP Ahmad Abdullah Al-Jibouri for membership of the Committee on Economic and Financial Affairs, and Zafer Al-Ani for membership of the Foreign Affairs and Political Affairs Committee. [rtl]"Today, MP Zafer al-Ani was elected deputy chairman of the Foreign Affairs, Political and National Security Committee of the Arab Parliament," an informed source told AFP on Saturday. MP Dr. Naim al-Aboudi, member of the Iraqi parliamentary delegation and member of the Arab parliament, said Sunday that the Iraqi delegation will play a very large role in supporting the Palestinian cause. "The Iraqi delegation will confirm the rejection of normalization with the Zionist entity during the meetings of the Arab Parliament held in Cairo. Noting that: The Iraqi delegation will call the Arab Parliament for the return of Syria to the Arab League and be represented in the Arab Parliament.